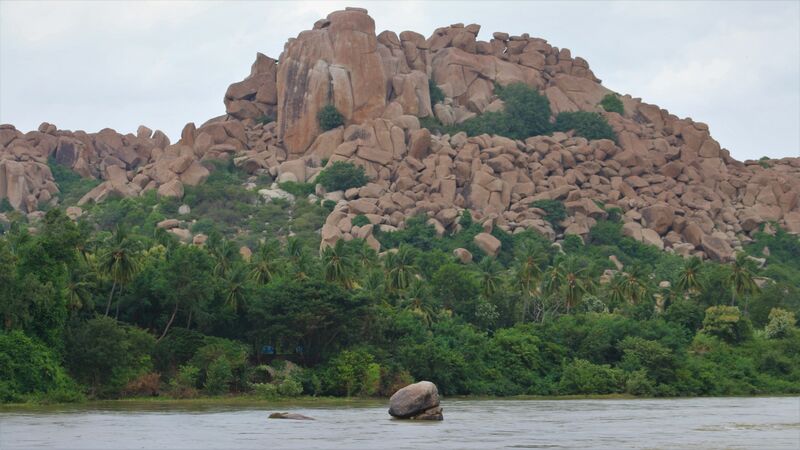 For us the 90’s Kids Hampi looks like a place out of Old Flintstones cartoons. 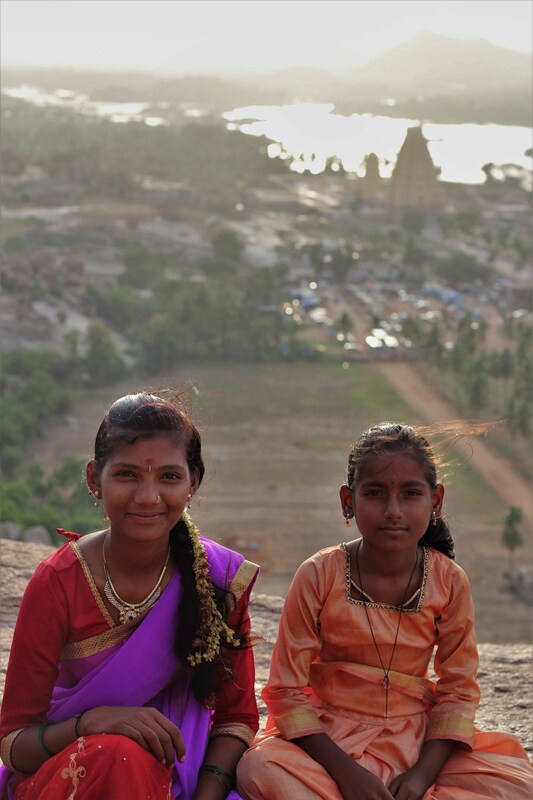 Hampi is a visual delight, especially due to its stark contrast to most other places I have visited. A very less populated village surrounded by countless boulders. The landscape like this is nowhere to be found in India. 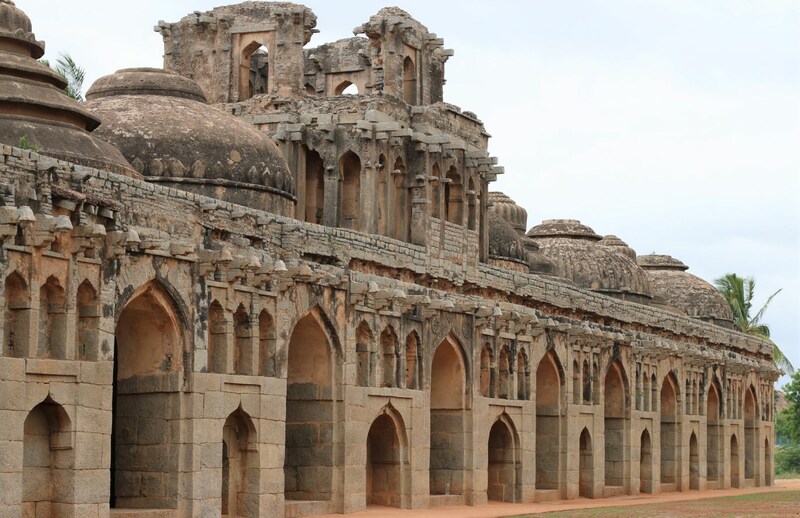 Hampi was the imperial capital of Vijayanagar, a 14th-century empire. Once the second richest city in the world, a city was so rich that the Diamonds were sold on the streets and interestingly the name of the street was pan supari street. 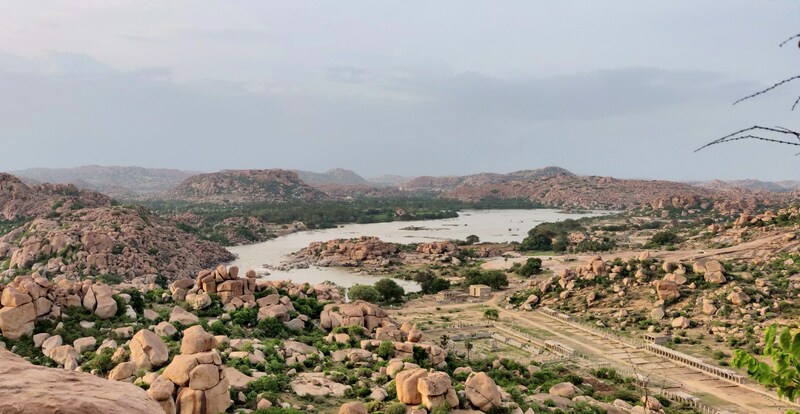 But this prosperity was short-lived, The Vijayanagara Empire was defeated by a coalition of Muslim rulers from the north, its capital was conquered, pillaged and destroyed by the army, after which Hampi remained in ruins. 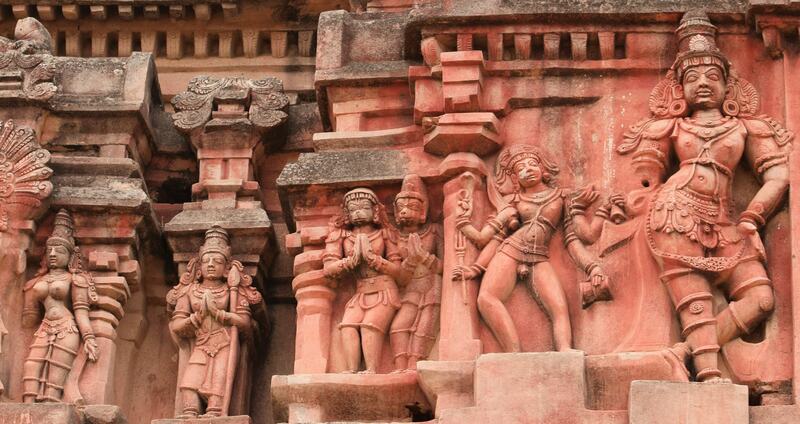 A trip to Hampi turned out to be a lot more interesting than I originally anticipated. 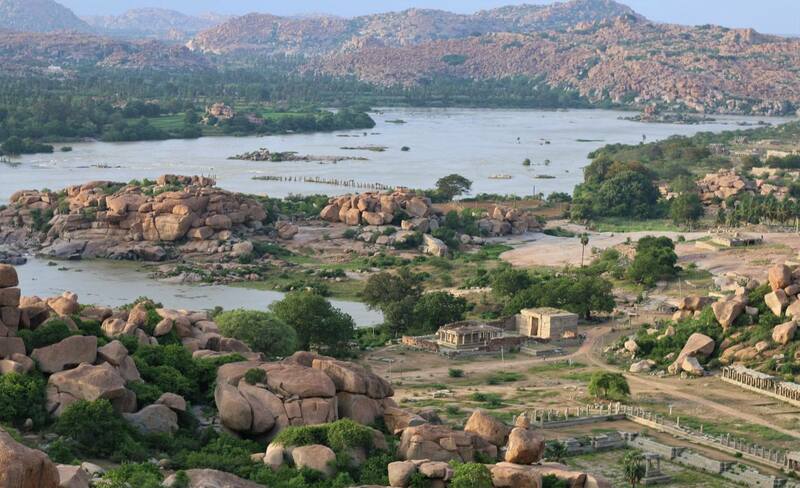 With more than 200 temples and 1600 ruins and other places of Historic relevance to explore, everything in Hampi has a story to tell. We reached Hospet from Hyderabad and booked the hotel in Hospet itself since Hampi was only 12 km from here. After quick refreshment, we booked an auto and reached Hampi. We were quite overwhelmed once we stepped out of the Auto, as every where there was something unique, grand and attractive to see. After having Lunch at a local laid-back cafe, we visited Virupksha temple. 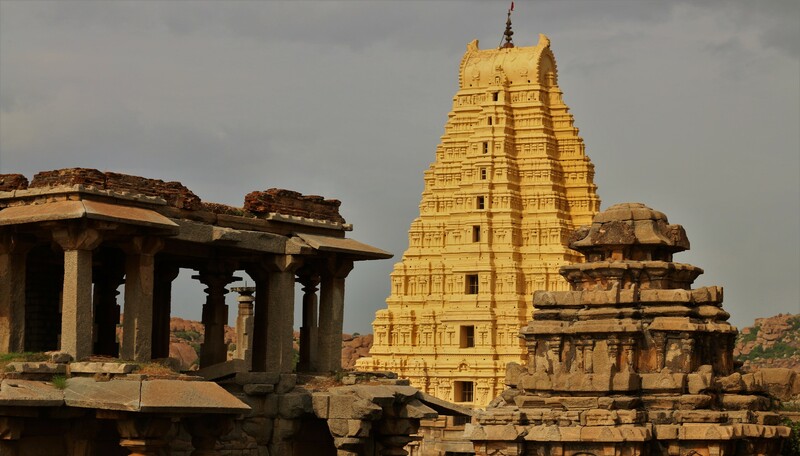 The Virupaksha temple is the oldest shrine, the principal destination for pilgrims and tourists. 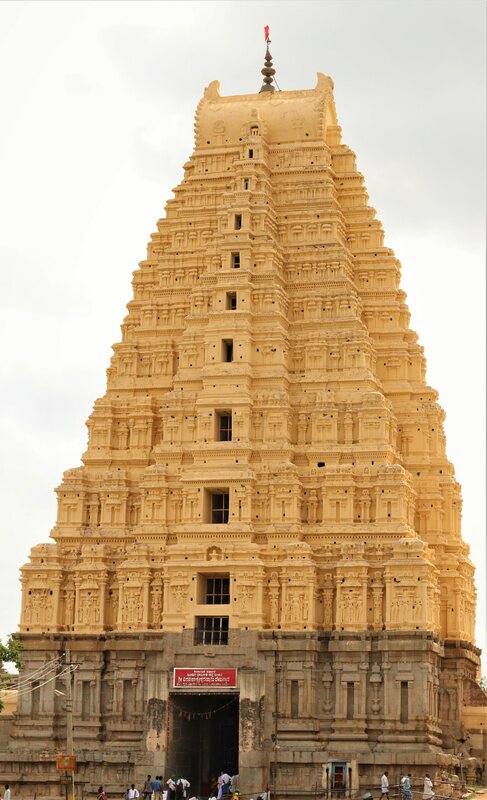 It is very tall and has a 50 meters high gopuram. It is surrounded by many small temples which are now mainly in ruins. Near to the temple we visited Sasivekalu Ganesha which is located in Hemkuta Hill, The hill is a good place to see a 360 degrees panorama of the city. 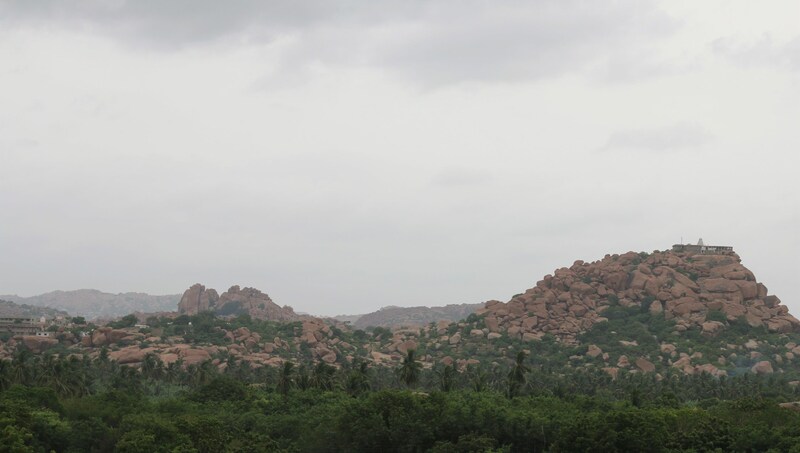 From here, We hired a local auto as there were a lot of places to cover in Hampi. From there we moved to Vitthala temple and market complex. 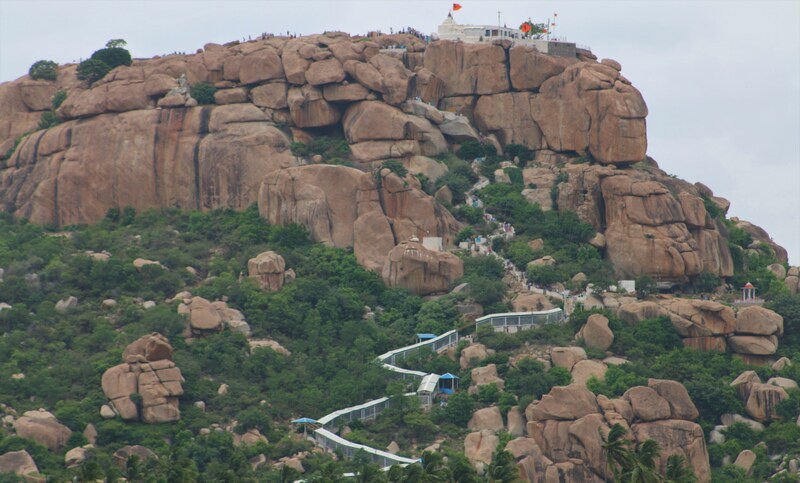 It is a site very closed to the tungabhadra river. 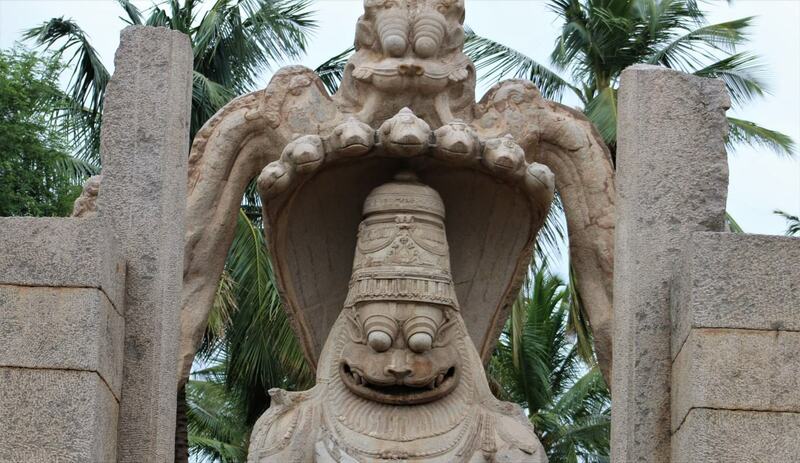 The Vitthala temple has a Garuda shrine in the form of a stone chariot in the courtyard; it is an often-pictured symbol of Hampi. 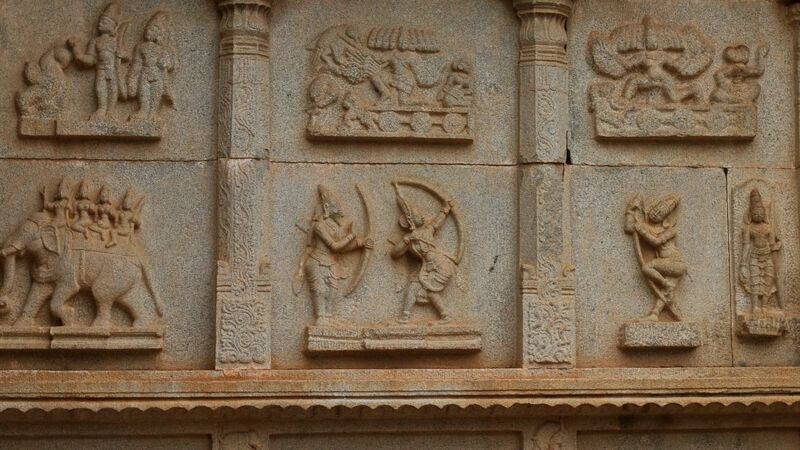 This shrine is similar but smaller to the one you can find in the Sun temple(Konark). 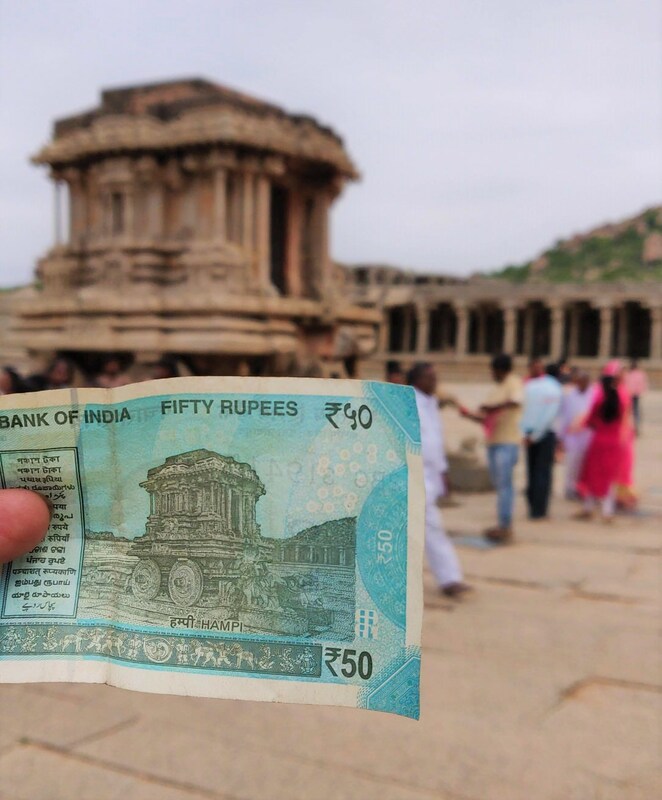 Also, you can find the same shrine in the new 50 rupee note. 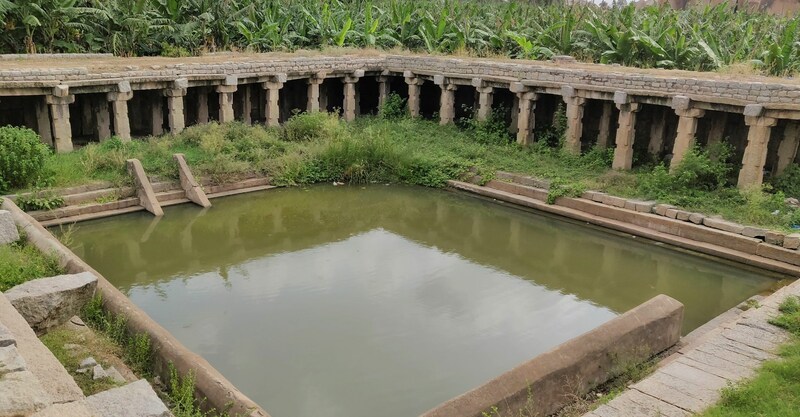 Around the complex ther is a Mandapa, This mandapa has different carved stone beams of different diameters, shape and surface finish that produces musical sounds when struck. According to local traditional belief, this hall was used for public celebrations of music and dancing. Close to the temple, there is a place called Courtesan Street also known as the Soolai Bazaar, which literally means the prostitute’s market. The dancing girls used to stand on this street and entice men. There are vivid descriptions of the market in many ancient works of literature. It is said that at one point in time there used to be around 16 thousand women at this place. The Elephant stables and Zenana enclosure are the two places that are nearby. The elephant stables have eleven square chambers. It was once used as a place for royal elephants. It is said that every year during Dussehra, their elephants were paraded till Mysore in full Grandeur. The Zenana enclosure contains the Lotus Mahal, which resembles a symmetrical, square-shaped temple. 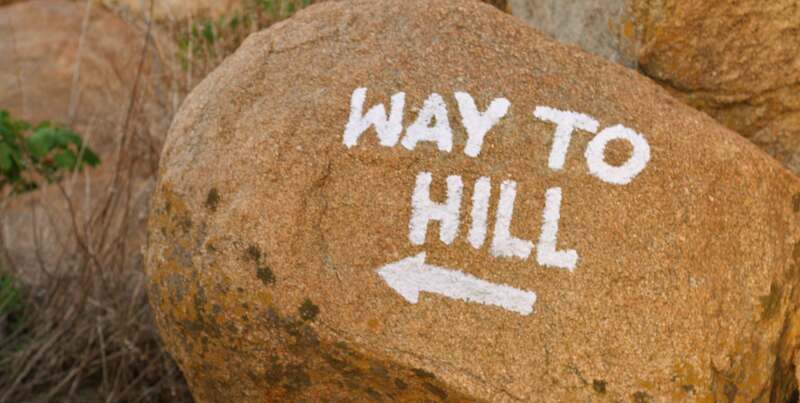 Later in the day around 5pm, we started a short hike to the nearby Matanga hill. 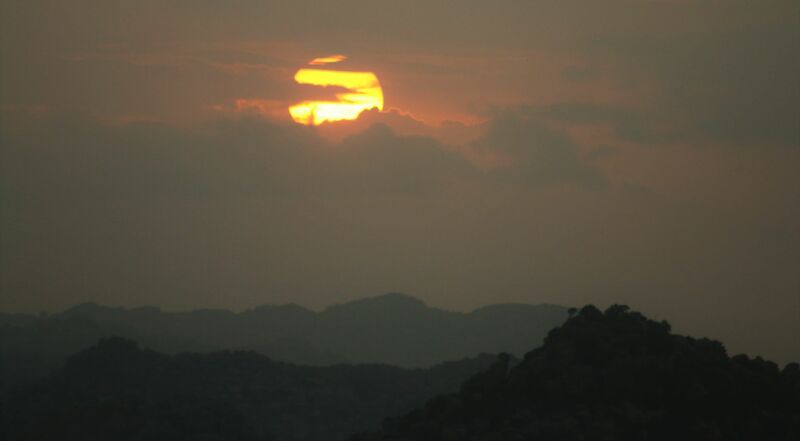 The sunset from the top was quite intoxicating. 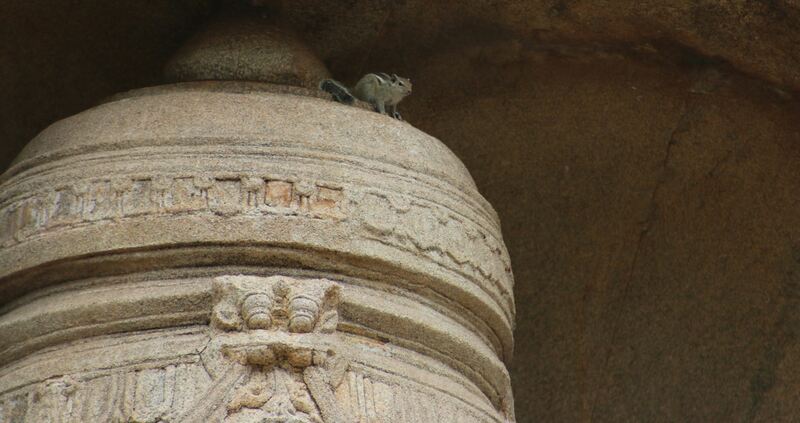 Much recommended for anyone visiting Hampi.